Great news! One of the Dragon Award nominees is FREE for a limited time! Brian Niemeier’s highly praised debut novel Nethereal introduced a captivating, mysterious world. 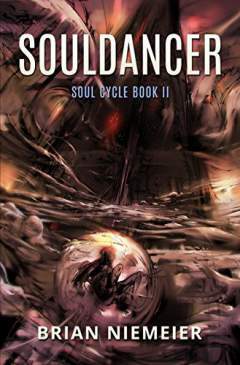 Book 2 of the Soul Cycle unveils its secrets. Twenty years after the old world ended in fire, Xander Sykes travels the deserts of a drastically changed Mithgar. His fascination with the world he never knew—along with his strange abilities—divides him from his clan. But otherworldly forces interrupt his exile. Pursued by enemies from above and beneath the world, Xander bands together with an ambassador from hell, his heavenly bodyguard, and a reformed guildsman seeking to right his order’s wrongs. The search for answers leads to a vast, decaying city haunted by a presence as tormented as it is deadly. Xander finds a survivor who may give purpose to his nameless longing—if he can help her escape the terror that stalks them both. And if you haven't voted in the Dragon Awards yet, do so soon!